MULTIFAMILY INFLUENCER: Alliance Residential Co. The Phoenix-based firm has become one of the largest private multifamily companies in the US, with more than $10 billion in worth of real estate investments and $15 billion in assets under management. 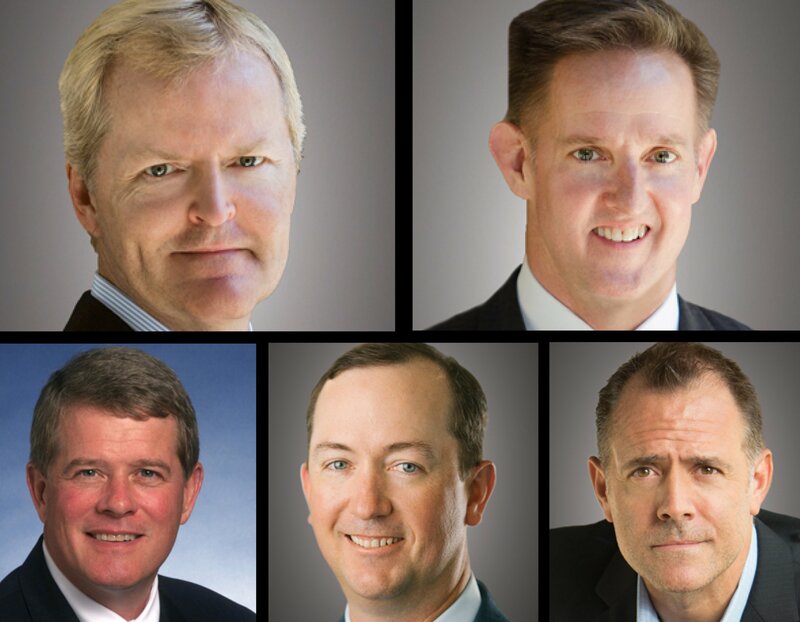 Alliance Residential’s Leadership Team (clockwise, from top left): Bruce Ward, Chairman & CEO; V. Jay Hiemenz, President & COO; Bob Weston, Chief Financial Officer; John T. Rippel, Chief Investment Officer; and Brad Cribbins, President & CEO, Management Division. Alliance Residential Co., recently broke ground on Marvelle at Southcenter, a property designed exclusively for residents age 55 and up in Tukwila, WA—the first of its new active adult housing communities and another addition to its extensive portfolio of brands. Score another success for Alliance Residential, headed by chairman and CEO Bruce Ward and Jay Hiemenz, president and COO. The Phoenix-based firm has become one of the largest private multifamily companies in the US, active in 19 states and 33 metropolitan markets with 35 regional offices. All told, the company, with the aid of other top executives—CFO Bob Weston, chief investment officer John T. Rippel, and Brad Cribbins, president &amp; CEO of the management division—has invested in more than $10 billion worth of real estate and manages a $15-billion portfolio of properties. With a focus toward local leadership and national support structure, Alliance has several operating alliances in place. Alliance InStyle is one; it ensures that on-site associates demonstrate a unified and branded look that reflects the Alliance culture and the quality of its assets. Alliance Alive is a benefits program to support its associates in discovering new approaches to wellness through all aspects of life. Alliance Insights, its big data repository, gathers more than 1 million data points a month from disparate data sources, tracking customer experience, associate performance and financial analyses for its assets. Additionally, in collaboration with Dwelo, Google and Nest, Alliance has launched its Alliance SmartHome technology package to deliver the features its customers want while addressing the unique challenges of multifamily integration. Its strategic survey programs, done in partnership with Kingsley Associates, allow Alliance to better understand the needs and demands during key phases of residents’ life cycles. Through its Alliance Cares program, associates positively impact individuals and organizations in need, while Focus Green develops sustainable solutions for properties, associates and residents to help reduce Alliance’s consumption of energy and natural resources. Finally, Alliance has a partnership with ENERGY STAR, an EPA voluntary program that saves money and protects the climate through energy efficiency.